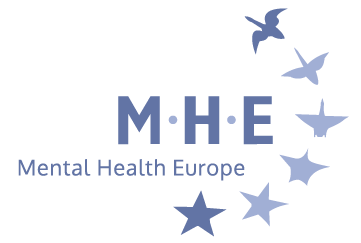 As the European Parliament marks one year until the next European elections, Mental Health Europe says EU states must reform outdated laws to show once and for all that people with psychosocial disabilities have a right to be heard. The NGO says laws in most EU countries mean hundreds of thousands of citizens experiencing mental health problems could be denied a voice in the upcoming European Parliament elections, despite their right to vote being protected under the United Nations Convention on the Rights of Persons with Disabilities (UN CRPD) (1) – a binding human rights treaty which has been ratified by the EU and all EU member states. Research by Mental Health Europe, published earlier this year in the report “Mapping and Understanding Exclusion in Europe”(2), found that hundreds of thousands of people in Europe with mental health problems live under full guardianship – a form of substitute decision-making where a person is deprived by law of their legal capacity and, in some instances, their right to vote. The report found that in Europe at least 264,000 people live under full guardianship, but the limited availability of data means the true figure could be 500,000 or higher. Currently, around three quarters of EU member states restrict voting rights for people living under guardianship. In some countries judges or doctors decide on a case by case basis whether people deprived of legal capacity will be allowed to cast a ballot, but in other countries all people living under guardianship are automatically excluded from the democratic process. With just one year to go until the next European Parliament elections, Mental Health Europe is urging EU states to follow the UN CRPD and ensure people with psychosocial disabilities have equal recognition before the law, including being able to exercise their equal democratic rights. Ahead of the European Parliament elections, Mental Health Europe is asking all prospective MEPs to recognise the barriers people with psychosocial disabilities face when taking part in elections. We ask them to commit to working over the next parliamentary term to improve access to democracy for people experiencing mental ill-health.